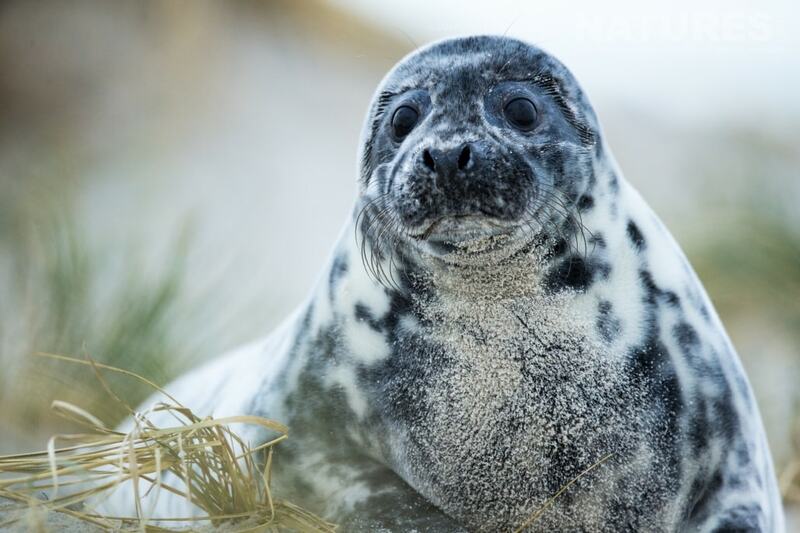 Early December 2017 saw me joining David & Jayne on a recce trip to capture images of Helgoland’s Seals (Heligoland). 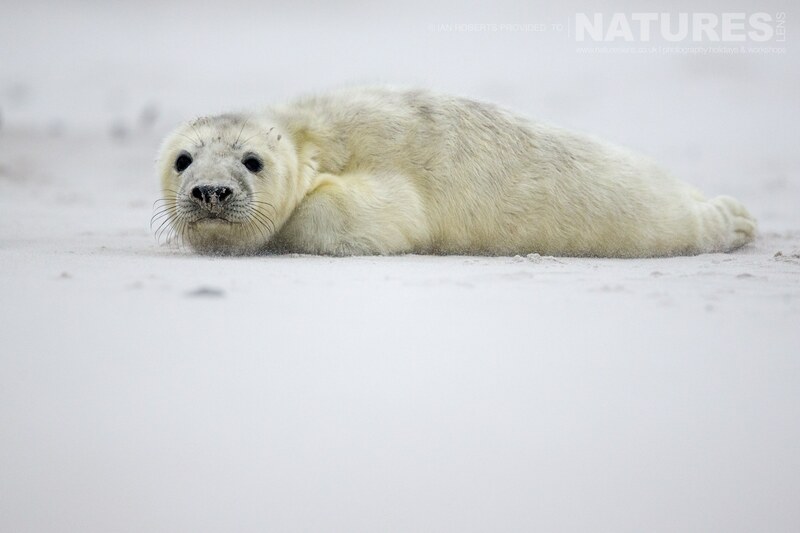 One look at the weather profile suggested it could be challenging but the likely number of seals & their pups on the beach made the trip look worthwhile & it was! The journey is a little complicated but not arduous, apart from the final leg by ferry the 46 kilometres from Cuxhaven to Helgoland. 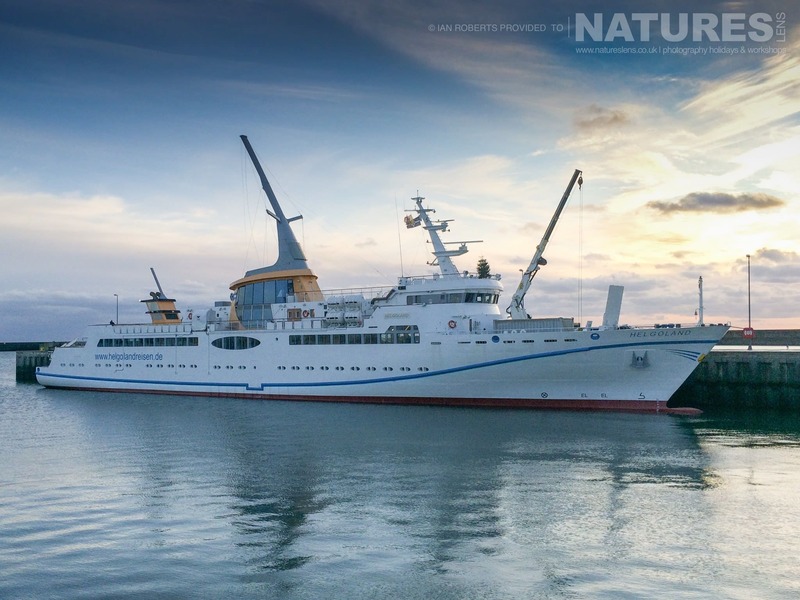 The boat is modern with full stabilisation, but the sea took its toll & several passengers were kindly escorted by the crew to the afterdeck for a breath of fresh air. Lesson 1 – take seasickness tablets. 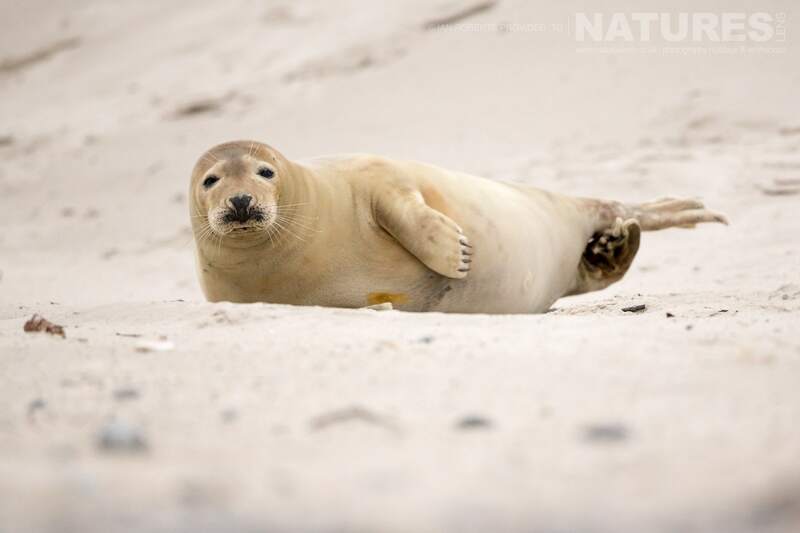 Helgoland comprises two islands – Helgoland itself, which is where all the hotels, restaurants & shops are, & Düne (pronounced doo-ne), which is where the seals (& the airstrip) are. 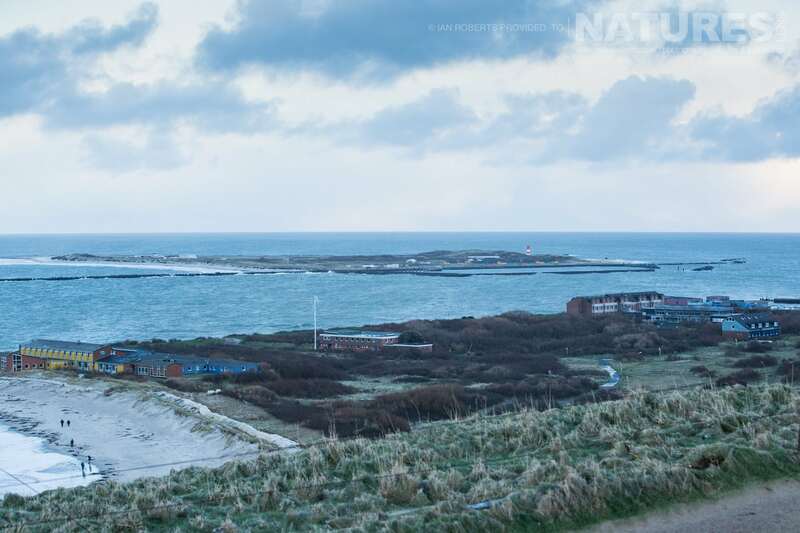 Helgoland is a significant Summer holiday resort for the Germans, but in Winter, fewer of the facilities are open. 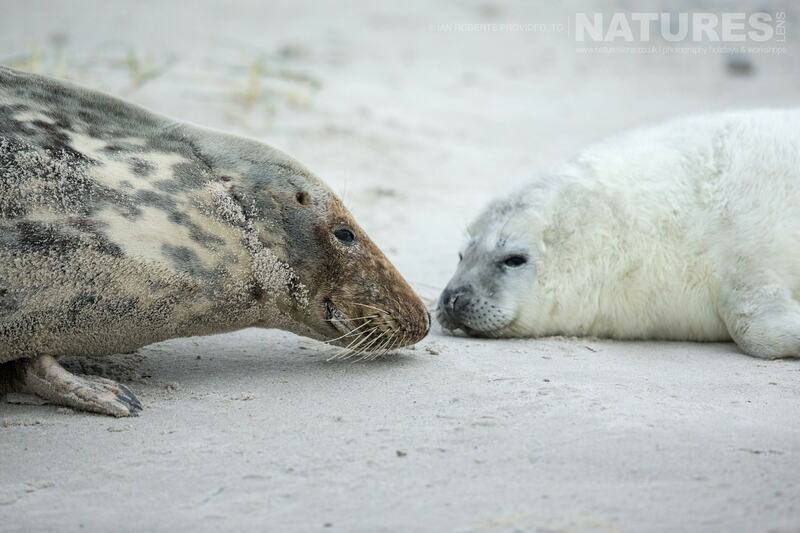 Nevertheless, there is ample accommodation & a surprising number of people making the journey to see Helgoland’s seals. 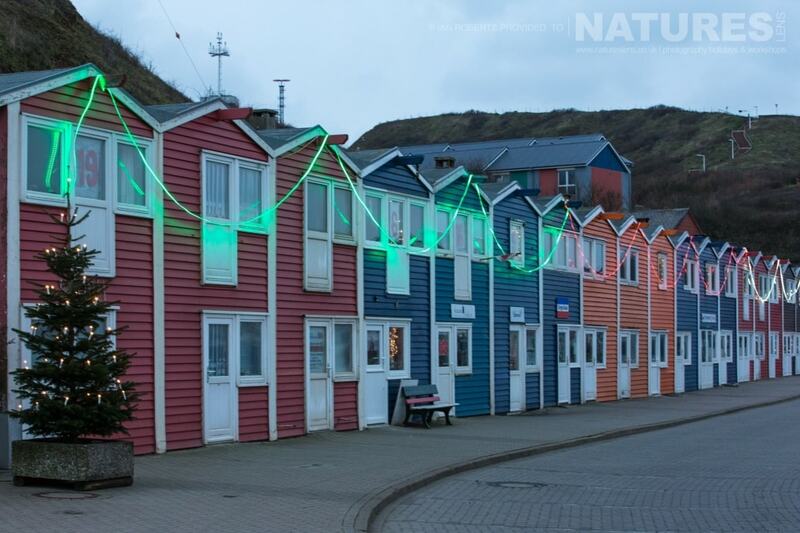 Bonus – Helgoland is a duty-free island, so there are lots of shops selling alcohol & tobacco products at significant discounts. The two islands are physically very different. 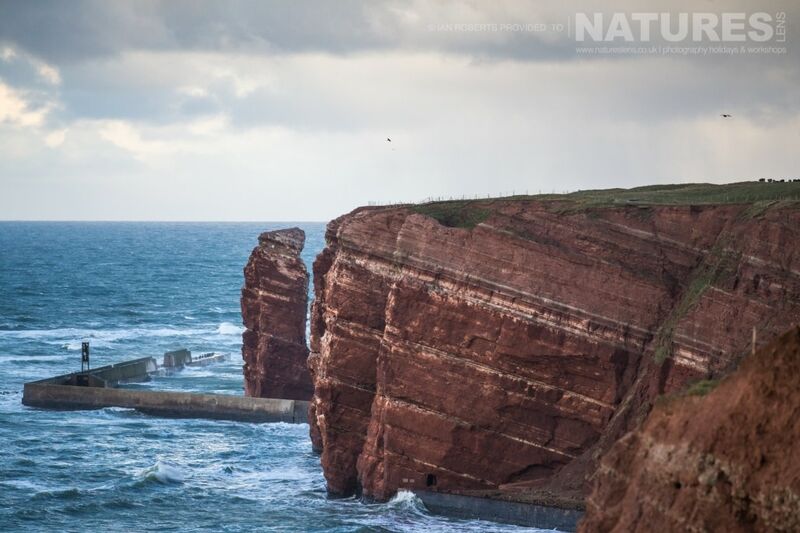 Helgoland is predominantly a sandstone outcrop rising 100 or so feet from the sea. It is divided into Upper & Lower. Upper is where the lighthouse & communications facilities are & there is a round the island walk which takes about an hour & affords views of ‘Lange Anna’, the island’s signature stack. There is also a lot of accommodation & several shops in Upper, & there is a lift or steps to get you up & down. Lower is where the harbours are & even more accommodation, restaurants & shopping opportunities. The whole island is mainly vehicle-free & characterised by narrow roadways between the houses. 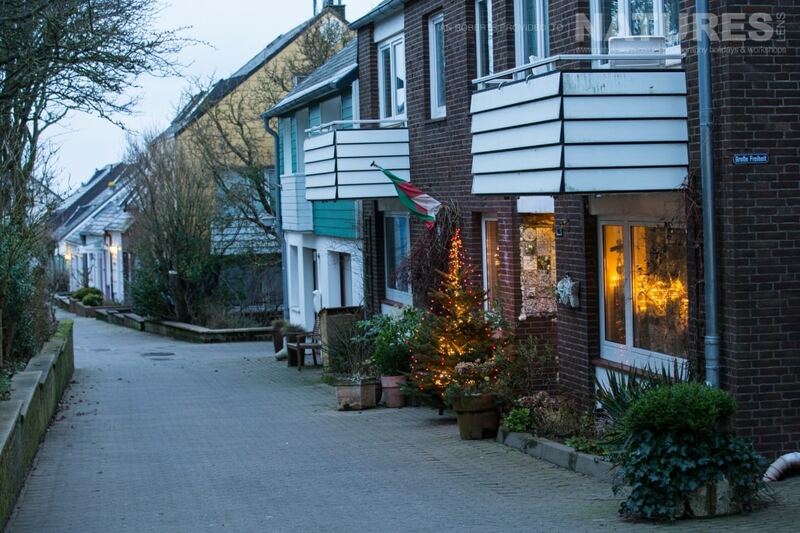 Most of the accommodation is B&B &, in typically German fashion, is clean & comfortable. Breakfast is continental, but there’s plenty of it. There is a range of restaurants for the evening meal, from traditional German to Italian, pizza, burger, seafood etc. Strangely, this must be one of the few places in the world that don’t have a Chinese restaurant! Düne is a complete contrast. Comprising almost entirely dunes, it barely rises 20 feet above sea level. It is crisscrossed by paths & is home to the airstrip, which is surprisingly busy & also entertaining in a cross-wind! 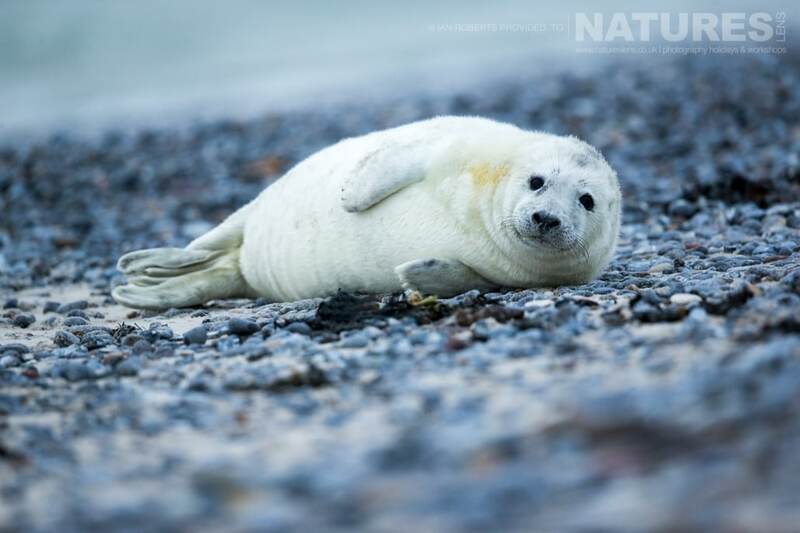 There are beaches on 3 of its sides & these are the home for the seals & seabirds. 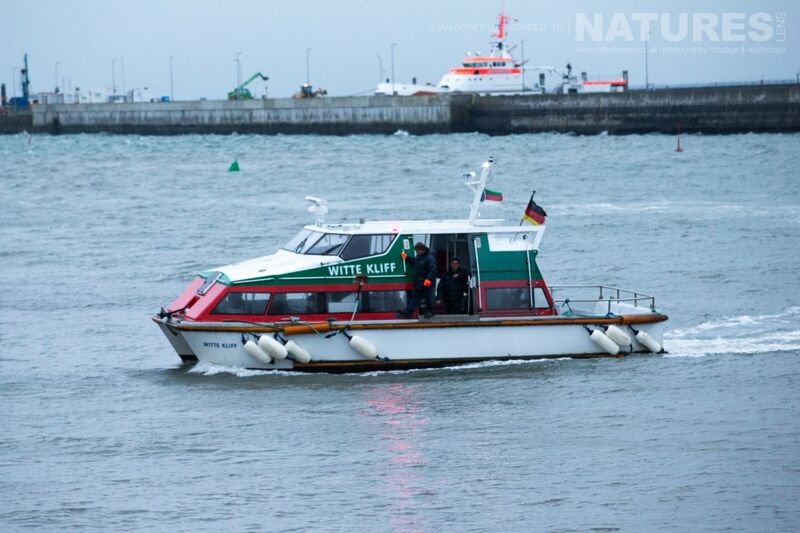 Getting to Düne is a 5-minute ferry ride across the sound between the two islands. The ferry operates every half hour from 8 am to 4 pm. With daylight not happening until after 8.30, we fell into a routine of getting the 9 am ferry & coming back at about 2 pm for a late comfort food lunch. Cheesy chips never tasted so good as after 5 hours on a wind-swept beach! 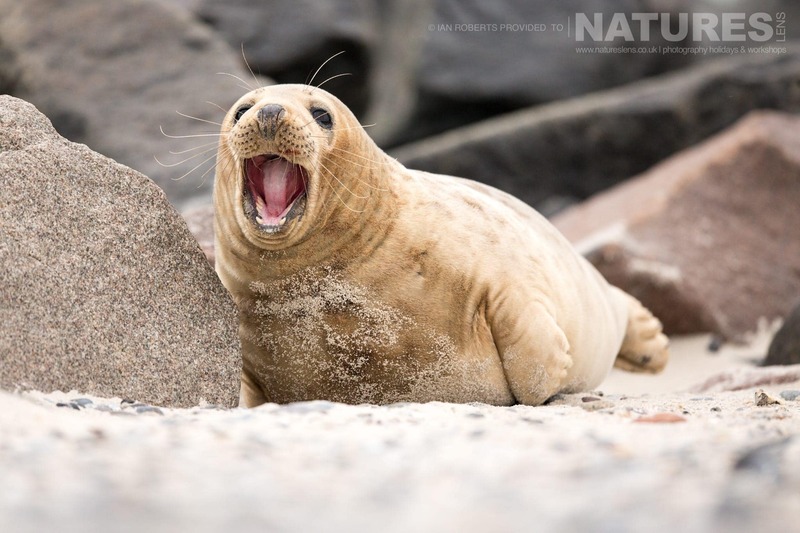 The local rule is that you should keep a healthy distance from Helgoland’s seals – this is so that they are not too disturbed & for your safety – you’ll need the head start if they decide to get antsy, as they can move remarkably fast! 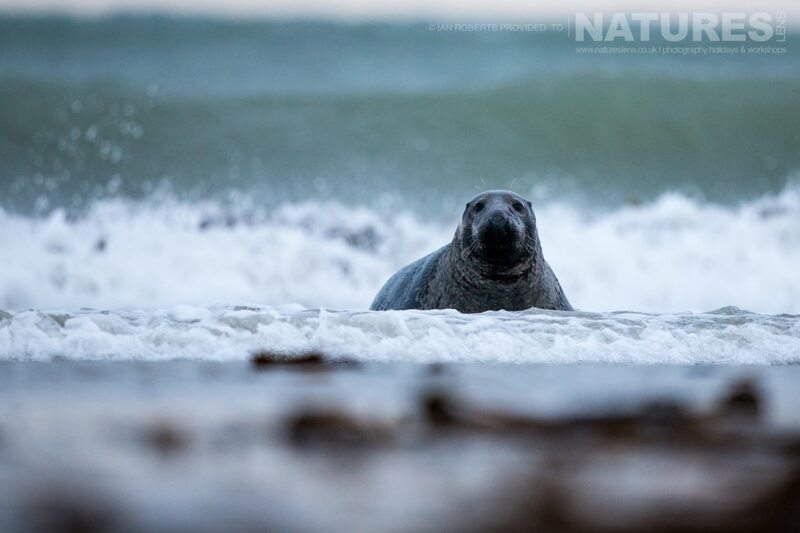 30 metres can be difficult to achieve though as the seals are spread all over the place; many are very curious about the 2-legged things & come to investigate. There are wardens from the local wildlife society & they police the beaches but also provide helpful advice on the best access points & those to avoid. 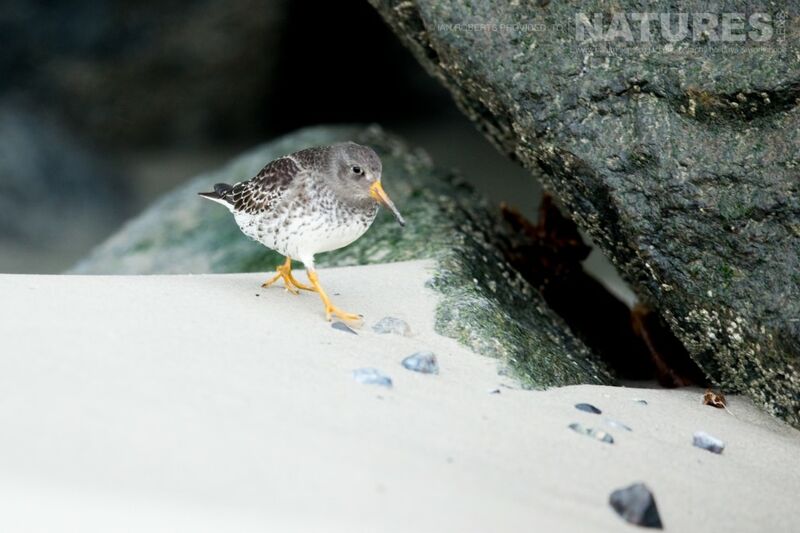 Once on the beaches, it is easy to find your subject matter & let your camera do the talking. The options are many: Seals in the surf seals hauling out, seals fast asleep, young pups, more mature pups, bulls, sandy locations. pebbled locations … there are also quite a few seabirds: Gulls, cormorants, oystercatchers, sanderlings, redshank, eider duck. The photography conditions can be challenging. The island is wind-swept & being well out into the North Sea; there’s nothing to deflect the wind. You’ll need a skimmer plate, tripod, or bean bag for stability. With the wind comes blowing sand, so you need to protect your camera/lens with a jacket, & the same applies when the rain, snow or hail arrives. The light can be quite flat so shooting in RAW is a must to give you the best chance of pulling something out of the bag. When the sun shines, it is quite oblique so backlit images are tremendous & the sun lifts the atmosphere. 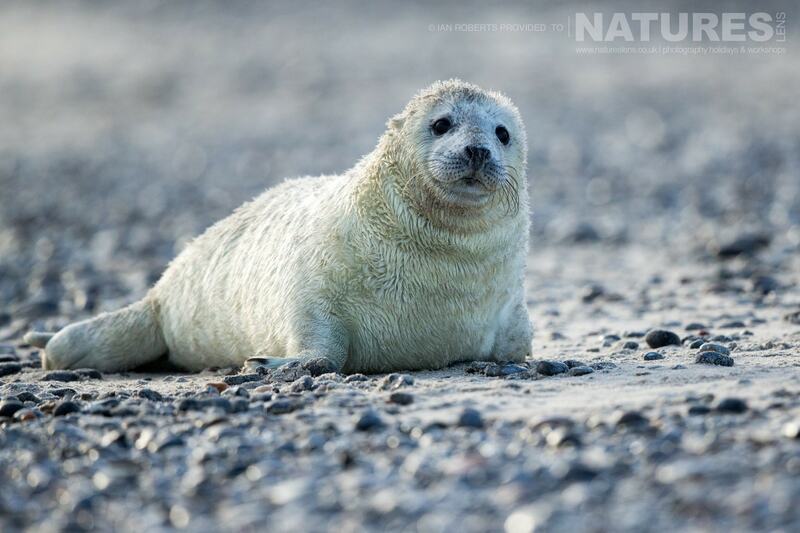 It was my first time shooting seals & also in a beach environment. I enjoyed the challenge & I’m pleased with the images I got. You can’t help but get a bit slushy about the youngsters; they’re so photogenic, & it’s effortless to attribute human qualities to the facial expressions. 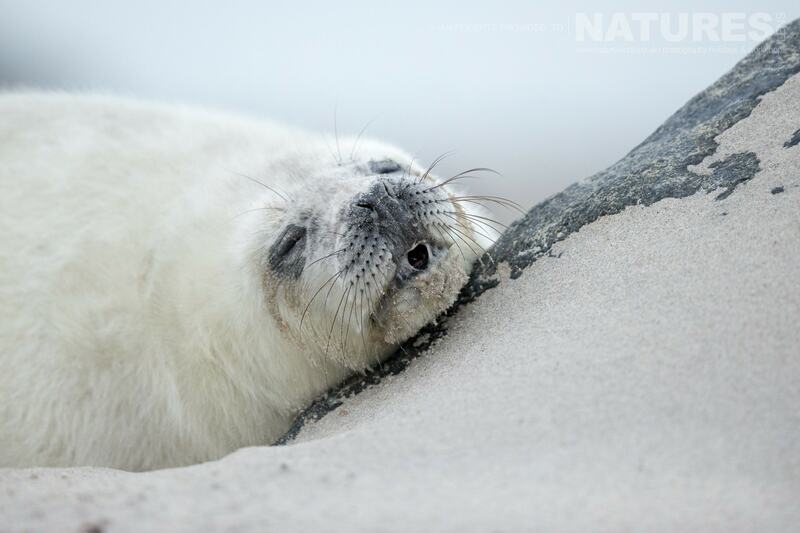 It was worth the trip &, if you get the chance to photograph Helgoland’s Seals, then do go for it … the images are well worth the effort. 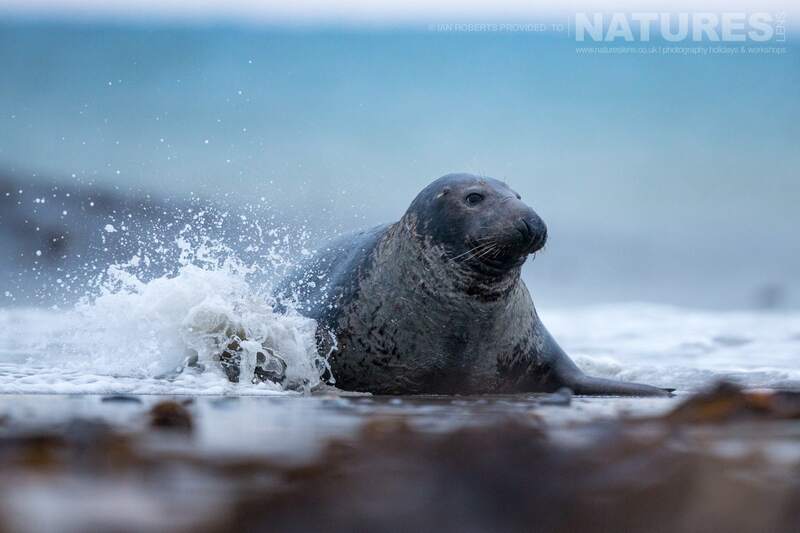 In November 2018, Jayne & Ian will be leading a Seals of Helgoland Photography Holiday for NaturesLens, specifically between the dates of 18th – 23rd November. 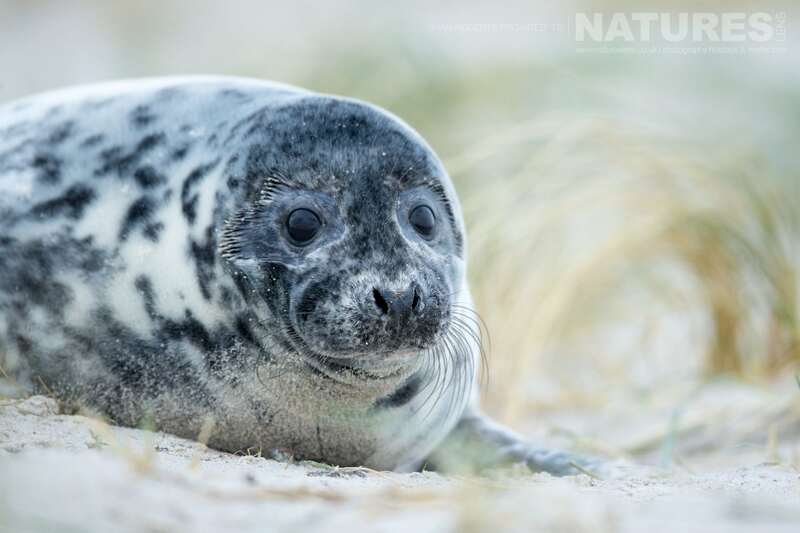 The cost is £1499 per participant which includes return transport between Hamburg Airport & Cuxhaven, an overnight stay in Cuxhaven on a dinner, bed & breakfast basis, ferry costs to reach Helgoland from Cuxhaven, luggage costs on the ferry, 4 nights accommodation on Helgoland itself on a dinner, bed & breakfast basis, 4 crossings to Düne from Helgoland & an overnight stay in the Radisson Blu Hotel at Hamburg Airport on the final night of the trip. 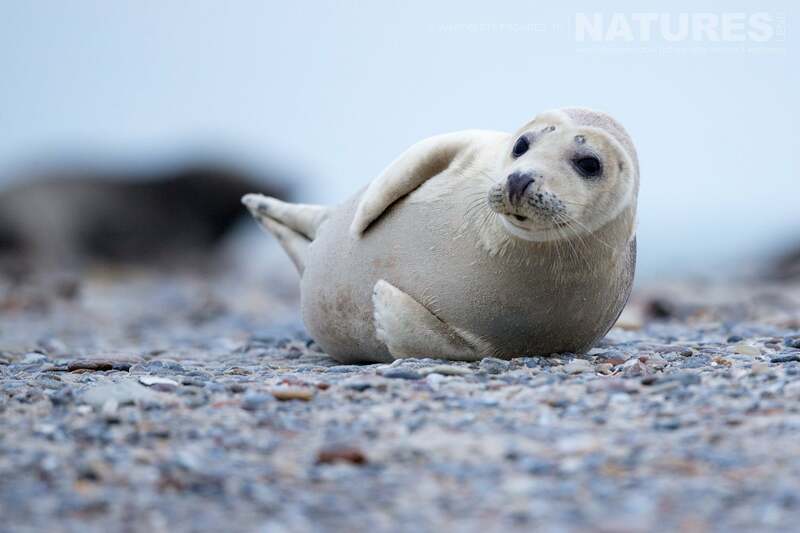 This entry was posted in client images, announcements, galleries, photography holidays and tagged europe, germany, helgoland, photography holiday, seals. 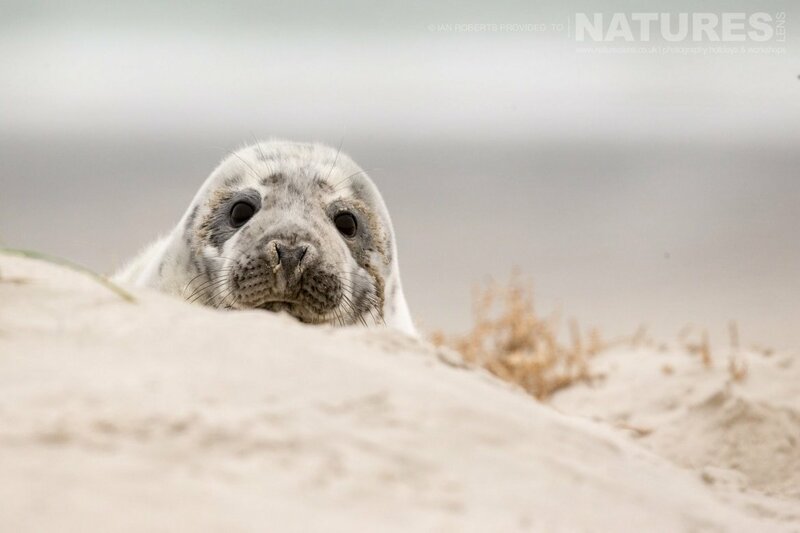 Whatever your query regarding our photography holiday, Capturing images of Helgoland’s Seals, please fill out your details below & we will get back to you.